Pros and Cons of using a Nanny Cam. A Nanny camera is a Tool. To Nanny Cam or Not to Nanny Cam? As a parent, especially a new parent, you may be concerned about leaving your child with a caregiver other than yourself. As a result of these concerns, you may think about using a nanny cam. This is a delicate issue that should be handled in a sensitive manner. There are not only legal issues to consider, but also the impact on your relationship with your nanny. If you are considering using a nanny camera you should become aware of the laws in your state. In addition to the laws, you may want to think about how this may affect your relationship with your nanny. Trust is very important in this unique relationship and needs to be nurtured. 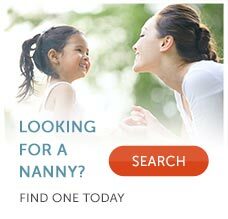 If you are to go with a nanny cam, you should discuss this with your nanny interview candidates prior to hiring (in the interview) and once hired, have the nanny sign a document stating that they are aware of the "hidden nanny camera." This way you are hiring someone who you know is comfortable with this practice. The short answer to the legal question is that it is legal to use a hidden camera in all 50 states. The laws of 13 states expressly prohibit the unauthorized installation or use of cameras in private places. A private place is one where a person may reasonably expect to be safe from unauthorized surveillance. Consider that studies and polls show that many nannies are not necessarily against videotaping of child-nanny interaction, it's just that they want to know about it. It seems to be a matter of trust and feeling of deception. Some parents handle the situation by telling a potential nanny care provider upfront that nanny cameras will be used so that they can feel comfortable and confident about their child's care. It's then up to the nanny to accept or decline the position with a family who uses a nanny cam. The decision whether to nanny cam or not really is a decision that is ultimately related to your fears and trust as a mother and employer. If you are going to use nanny cams, I recommend that you let your nanny know at the beginning of the relationship, as early as the first interview. I would prefer that nannies bad behaviors were prevented, not “caught”. If you have a nanny cam and don’t tell your nanny and she finds out about it, the trust may be broken and your nanny may feel disrespected. A professional nanny will understand that in the beginning of the relationship trust is still being built. Being open with your nanny will help to build and maintain that trust. Have a neighbor drop by unexpectedly. Drop by on your lunch hour and check-in. Keep a regular schedule so you know when something is off. Is your TV warm? Has she been watching TV all day? If you see something suspicious, or are curious about something, question your nanny and discuss your concerns together.